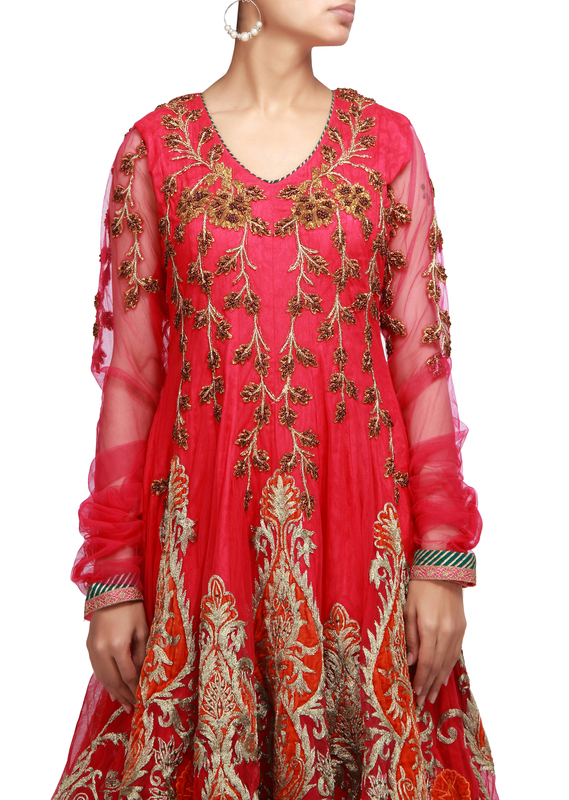 Beautifully crafted suit in pink net. 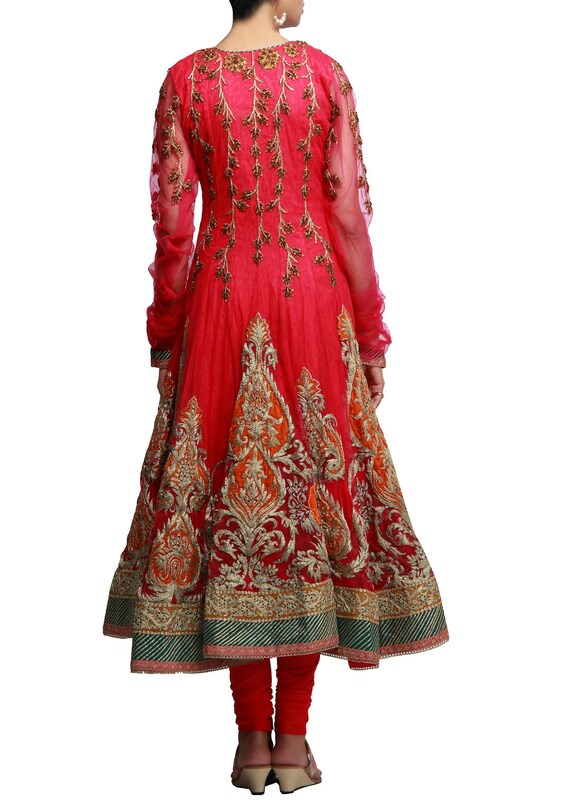 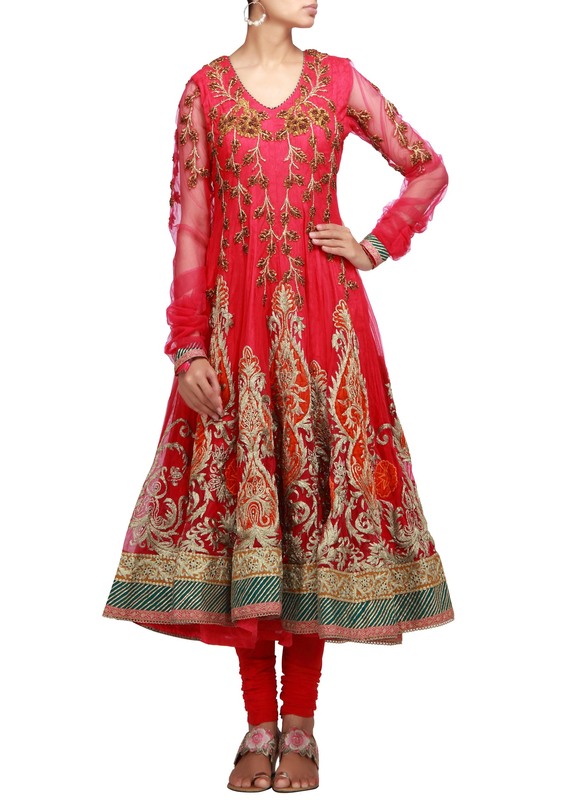 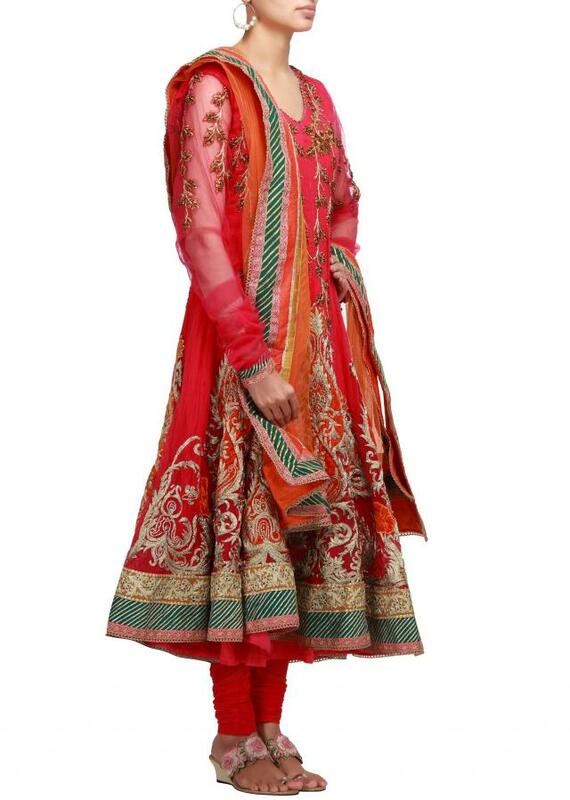 Its embroidery is delicately done in zari and zardosi work all over. Its hem line has gotta patti lace. 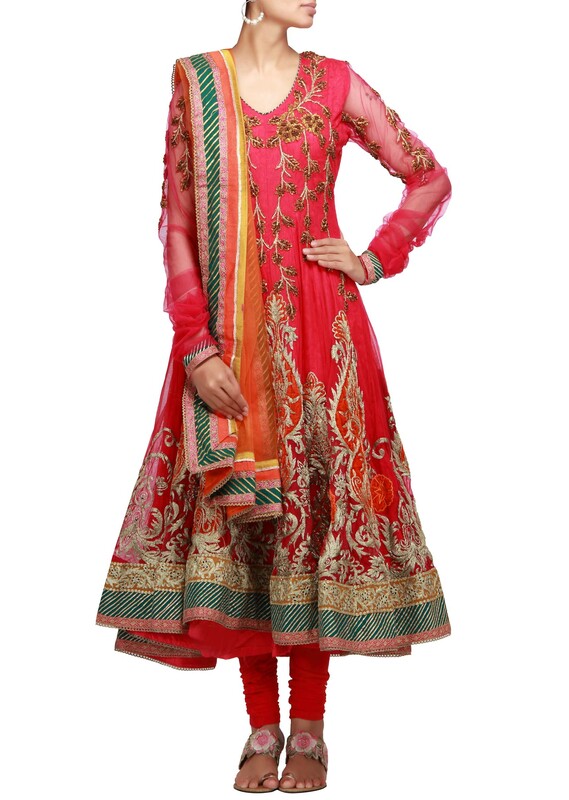 Churidar is in pink lycra and dupatta is in orange net with heavy border.